Analysis of investment decisions is an important macroeconomic subject due to the role of fluctuations in investments on the economic performance. It is argued that investment models need to take this effect into account if uncertainty has an impact on investment. Therefore, the effects of uncertainty on investments have recently been analyzed in the theoretical and empirical literature. While developing economies face more uncertainty than industrial countries do, most empirical studies consider the uncertainty-investment relationship for developed counties. In this paper, we analyzed the effect of the macro economic uncertainties on private investment in a developing county: Poland. We constructed a generalized autoregressive conditional heteroskedasticity (GARCH) model to measure uncertainties. Then, we employed the bound testing procedure to cointegration analysis. Since our findings indicate a long-term relationship of the variables, we adopt an error correction model to capture the dynamic relationship. Our estimates imply that the real exchange rate, inflation and growth uncertainties effect private investments negatively in Poland. Therefore, we can conclude that macroeconomic stabilization is a necessary condition for the continuity of investments in Poland. Yatırım kararlarının analizi, yatırımlardaki dalgalanmaların ekonomik performans üzerindeki etkileri nedeniyle önemli makro ekonomik konulardan biridir. Belirsizliğin yatırım kararları üzerinde etkisi varsa, yatırım modellerinin bu etkiyi dikkate almaları gerektiği ileri sürülmektedir. Bu nedenle, son zamanlarda belirsizliğin yatırımlar üzerindeki etkisi teorik ve ampirik literatürde analiz edilmektedir. Gelişmekte olan ülkeler, gelişmiş ülkelere göre daha fazla belirsizlik ile karşı karşıya olmalarına rağmen, belirsizlik ve yatırım ilişkisi üzerine mevcut literatürün çoğu gelişmiş ülkeleri ele almaktadır. Bu çalışmada gelişmekte olan bir ülke olan Polonya’da makro ekonomik belirsizliklerin özel yatırımlar üzerindeki etkisini analiz ettik. Belirsizliği ölçmek için genelleştirilmiş otoregresif koşullu değişen varyans (GARCH) modeli kurduk. Sonra eşbütünleşim analizi için sınır testi yaklaşımını uyguladık. Değişkenler arasında uzun dönemli ilişki bulunduğundan, dinamik ilişkiyi görmek için hata düzeltme modeli kullandık. Sonuçlarımız, Polonya’da reel döviz kuru, enflasyon ve büyüme belirsizliklerinin özel yatırımları negatif yönde etkilediğini göstermektedir. Böylece, Polonya’da makro ekonomik istikrarın yatırımları devamlılığı için gerekli bir koşul olduğu sonucuna vardık. Abel, A. B. (1983). Optimal Investment under Uncertainty. American Economic Review, 73, 228–33. Byrne, J.P. and Davis, E.P. (2005). Investment and Uncertainty in the G7. Review of World Economics, 141(1), 1-32. Darby, J., Hallett, A.H., Ireland, J. and Piscitelli, L. (1999). The Impact of Exchange Rate Uncertainty on the level of Investment. Economic Journal, 109, C55-C67. Demir, F. (2009). Macroeconomic Uncertainty and Private Investment in Argentina, Mexico and Turkey, Applied Economics Letters, 16(6), 567-571. Dixit, A., Pindyck, R. (1994). Investment Under Uncertainty, Princeton, NJ: Princeton University Press. Easterly, W., Islam, R. and Stiglitz, J. (2000). Explaining Growth Volatility. In Annual World Bank Conference on Development Economics 2000, Oxford University Press. Eberly, J. (1993). Comment on Pindyck and Solimano. NBER Macroeconomics Annual, 303-312. Engle, R. F., Granger, C.W.J. (1987). Cointegration and Error-correction: Representation, Estimation and Testing. Econometrica, 55(2), 251–276. Federer, J. (1993). The Impact of Uncertainty on Aggregate Investment Spending. Journal of Money, Credit and Banking, 25, 30–48. Ghura, D. and Grennes, T.J. (1993). The Real Exchange Rate and Macroeconomic Performance in Sub-Saharan Africa. Journal of Development Economics, 42(1), 155-174. Gilchrist, S., Sim, J.W. and Zakrajsek, E. (2014). Uncertainty, Financial Frictions, and Investment Dynamics. NBER Working Paper No: 20038. Grier, K. and Perry, M. (2000). The Effects of Real and Nominal Uncertainty on Inflation and Output Growth: Some GARCH-M Evidence. Journal of Applied Econometrics, 15(1), 45–58. Hartman, R. (1972). The Effects of Price and Cost Uncertainty on Investment. Journal of Economic Theory, 5, 258–66. Hasanov, M., Omay, T. (2011). The Relationship Between Inflation, Output Growth, and Their Uncertainties: Evidence from Selected CEE Countries. Emerging Markets Finance and Trade, 47(July), 5-20. Johansen, S. (1998). Statistical Analysis of Cointegration Vectors. 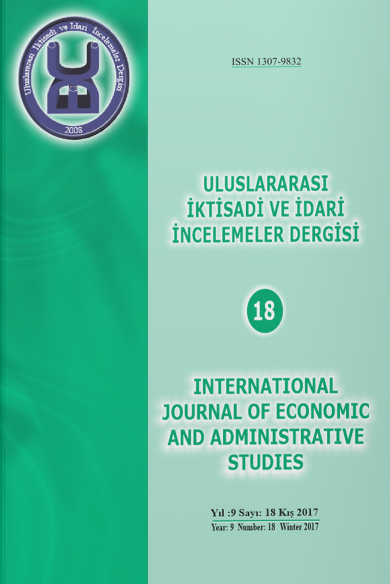 Journal of Economic Dynamics and Control, 12(2-3). 231-54. Keynes, J. M. (1936). The General Theory of Employment, Interest and Money. San Diego: Harcourt Brace Jovanovich. Lee, J. (2016). The Impact of Idiosyncratic Uncertainty When Investment Opportunities are Endogenous. Journal of Economic Dynamics and Control, 65, 105–124. Lensink, R. (2002). Is the Uncertainty-investment Link Non-linear?” Review of World Economics, 138(1), 131-147. McDonald, R., Siegel, D. (1986). The Value of Waiting to Invest. Quarterly Journal of Economics, 101(4), 707–727. National Bank of Poland, (Quarterly Survey) (2005). Wstepna Informacja o Kondycji Sektora Przedsiebiorstw ze Szczegolnym Unwzglednieniem Stanu Konjunktury W 1 KW. Pesaran, M. H. and Shin, Y. (1999). An Autoregressive Distributed Lag Modelling Approach to Cointegration Analysis. S. Strom (eds.) Econometrics and Economic Theory in the 20th Century, The Ragnar Frisch Centennial Symposium, Cambridge University Press, Cambridge. Pesaran, M. H., Shin, Y. and Smith, R.J. (2001). Bounds Testing Approaches to the Analysis of Level Relationships. Journal of Applied Econometrics, 16(3), 289–326. Pindyck, R.S. (1991). Irreversibility, Uncertainty, and Investment. Journal of Economic Literature, 29(3), 1110–1148. Pindyck, R. S. and Solimano, A. (1993). Economic Instability and Aggregate Investment. NBER Macroeconomics Annual No: 8. Pradhan, G., Schuster, Z. and Upadhyaya, K.P. (2004). Exchange Rate Uncertainty and the Level of Investment in Selected South-East Asian Countries. Applied Economics, 36, 2161–2165. Saman, C. (2010). Macroeconomic Uncertainty and Investment: Empirical Analysis for Romania. Romanian Journal of Economic Forecasting, 2/2010, 155-164. Sarkar, S. (2000). On the Investment–uncertainty Relationship in a Real Options Model. Journal of Economic Dynamics and Control, 24, 219–25. Serven, L. (1998). Macroeconomic Uncertainty and Private Investment in ldcs: An Empirical Investigation. World Bank Policy Research Working Paper No: 2035. Serven, L. (2003). Real Exchange Rate Uncertainty and Private Investment in Developing Countries. Review of Economics and Statistics, 85(1), 212–217. Serven, L. and Solimano, A. (1993). Striving for Growth After Adjustment: The Role of Capital Formation. Washington DC: The World Bank. Zeira, J. (1990). Cost Uncertainty and The Rate of Investment. Journal of Economic Dynamics and Control, 14, 53–63.